This Tech Tip is provided courtesy of Howard Halasz – noted GL1100 Guru. Howard is a frequent contributor of technical columns and other information to GWRRA’s Wing World Magazine. “The main GL1100 carb-to-plenum FUEL seals (large) are identical to the GL1000 carb-to-plenum FUEL seals that come in Randakk’s GL1000 Master Carb Overhaul Kits. 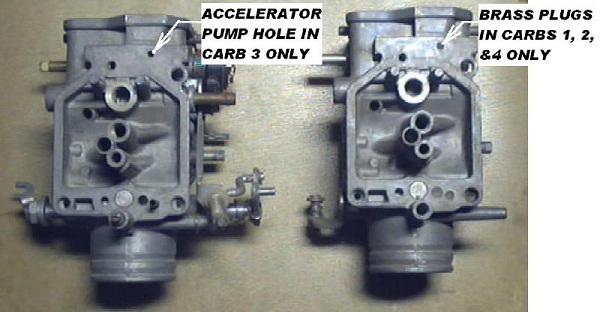 There are also two smaller carb-to-plenum FUEL seals for the accelerator pump circuit. Only two main carb-to-plenum seals are needed and only two accelerator pump carb-to-plenum seals are needed when rebuilding the GL1100 carbs. NOTE: The two main FUEL seals go on carbs #2 and #3 only and the accelerator pump seals go on carbs #3 and #4 only. The fuel joint pipes will supply main and accelerator pump fuel between carbs #1 and #3 and between carbs #2 and #4. Too many people will put extra seals on the GL1100 carbs in other spots where they’ll fit, but they are not needed. If you put the fuel seals in the two carbs that don’t need them and leave them out of the carbs that do need them, you’ll end up with major fuel leaks all over the top of your crankcase. Note: the side of these special “U” fuel seals with the radiused profile is installed facing the plenum. The flat side of the seals goes toward the carb bodies. Don’t forget where the little plastic straw goes! The plenum halves have a plastic straw that slides into the accelerator pump fuel crossover channel at the bottom of the plenum halves. Notice the new plenum gasket and the 2 locating dowels installed on the plenum in left photo. Put the straw where the blue arrow points. This is the accelerator pump fuel channel…the rear-most channel on the bottom of each plenum half. The straw is vital. It is necessary is to regulate pressure/flow in the accelerator pump circuit. 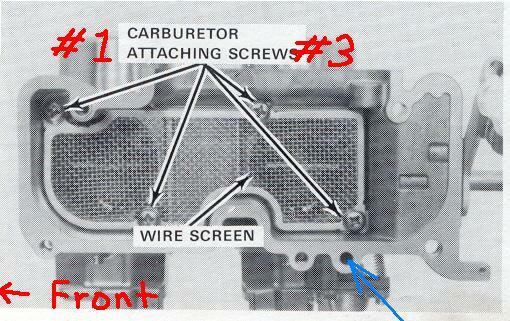 The purpose of the straw is to reduce the volume of the crossover channel so that you don’t have to work the throttle a million times to get fuel to travel from the accelerator pump in carburetor #3 to the nozzles in the other carburetors. This is particularly important after short lay-ups have allowed normal evaporation of fuel. Fabricated in Brass. Details here. 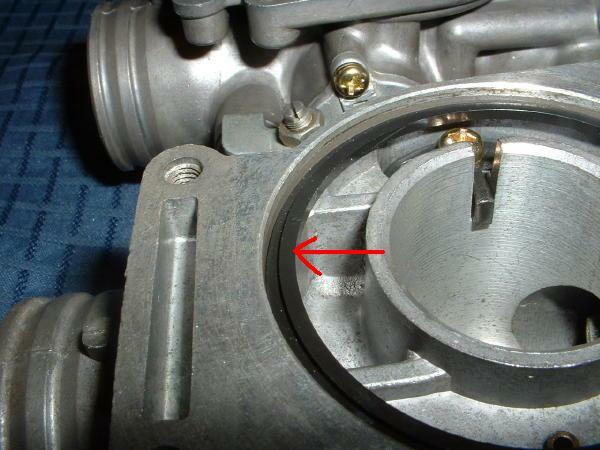 Another problem you may come into when working with GL1100 carburetors is dealing with idle mixture screws that seem to be super glued into the carburetor bodies. They don’t always come out as easily as the GL1000 carb idle mixture screws do. If one of those screws has a broken tip that has wedged into the carb body, then that carb body can be considered trash. When you remove the idle mixture screws for cleaning, don’t neglect to fish out the small O-ring and washer beneath the spring. Often, they will stick in the carb body. If you don’t get them out, the idle mixture can’t be set properly and you will probably damage the fragile tip of the idle mixture screw. You can fashion a handy removal tool from a bent paper clip. “The process is simple and intuitive, but it is all but impossible unless the carbs are completely separated. Unlike the GL1000 carbs, these diaphragms can’t be installed upside down. 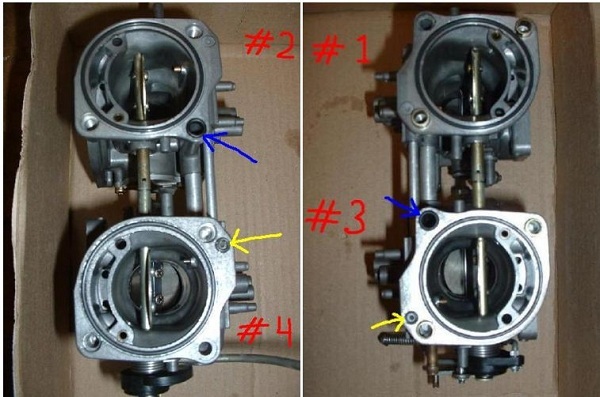 Be sure to chase all 3 air circuits into each valve chamber to verify that they are clear. Once the individual carb bodies are cleaned and prepped, install the new air cutoff valve kits before the carbs are rejoined to each other and the plenum. The air cutoff valve covers are secured with 4 x 12 mm screws. 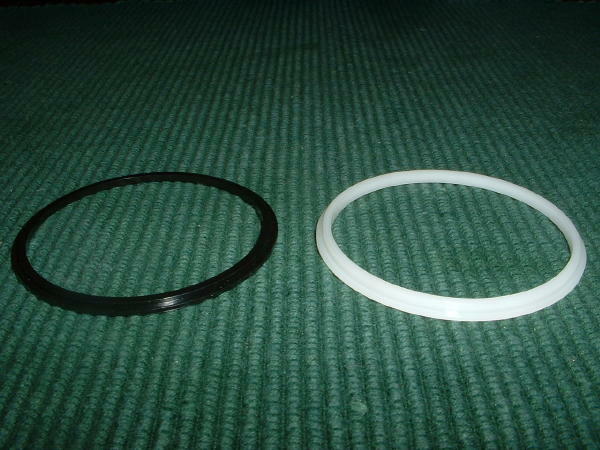 Be sure to replace the O-ring on the plastic CV slide top limit plug with the new O-ring from your rebuild kit. If you are a professional mechanic or have lots of carb parts from various bikes on your workbench, be very careful that you don’t mix these innocent looking parts. Be aware that Honda used different length CV slide top limit plugs on various Honda models of this vintage even though they are all in the same carb “family. For example, look at the pictures below…the GL1100(left) uses a CV slide top limit plug that is 10.95 mm tall while the nearly identical part from a CBX carb (right) is 16.47 mm tall. 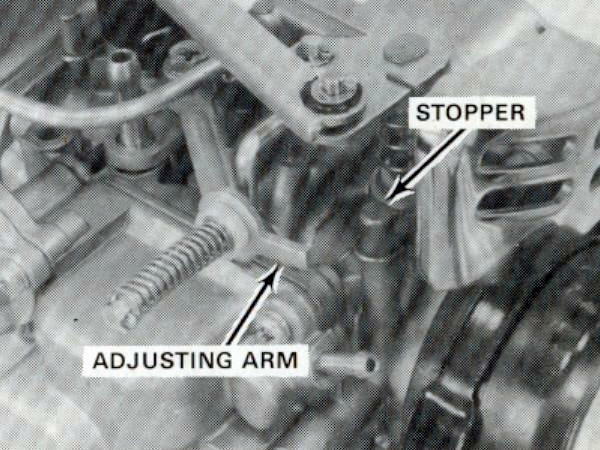 A GL1100 with CBXCV slide top limit plugs would not be able to achieve full power as the CV slides would not rise completely under full throttle. 1. Boil the carbs in distilled water like this. The CV slide cushion rings are installed with the ridge facing UP as show in the photo. Again, if you are a professional mechanic or have lots of carb parts from various bikes on your workbench, be very careful that you don’t mix these with slide cushion rings from other models. 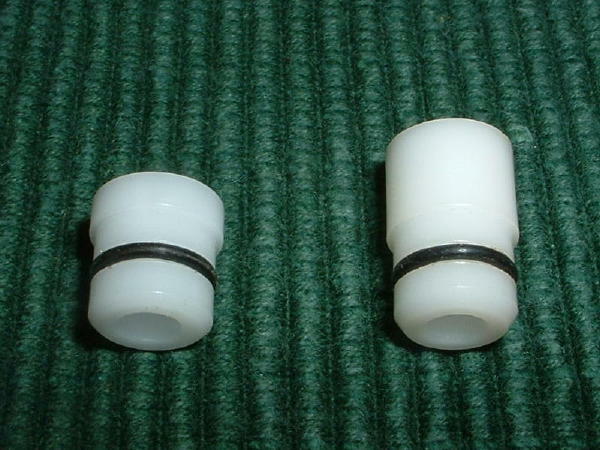 Be sure to use three 4 x 16 mm screws to secure each float bowl. 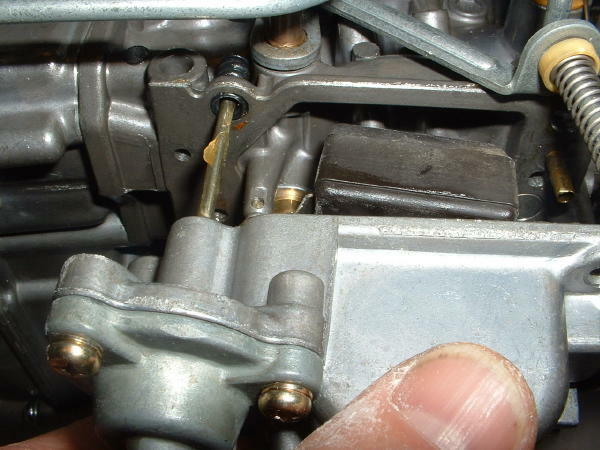 If you mix up the screws, and use the 4 x 12 mm screws intended for the air cutoff or accelerator pump cover, you risk stripping the threads in the carb body as these screws are too short for the job! I have a a real head scratcher; I have an 83 gl 1100 with 40K on it didn’t run on arrival and new timing belts later it will run. I went through carbs and now it will seemingly run fine out to about 5,000 rpm and then you have to choke hell out of it to get any more. Have gone through carbs until I am blue in face and can’t find problem. I do not have the rubber plugs that came with the carb kits installed and am wondering if that could be my problem. Any suggestions would be greatly appreciated. There are no “Rubber plugs” in GL1100 carbs. It’s possible that you have GL1000 carbs on your bike? Hello Randakk, I have an 1982 Honda Goldwing Gl1100 I picked up from a person who was over their head in reassembling the bike. I am a master Mechanic in the automotive field of over 41 years. I have not worked on Motor cycles before but then there are many automobiles I have never worked on also. I got this bike disassembled and have come along way from where I started. This bike has sat many years with old fuel in system. Fuel tank was cleaned, carbs overhauled due to external fuel leaks, (jets plugged up) and it runs pretty good. I have replace fuel pump with new Honda pump and the fuel pressure is good cold. But when the engine is warm the pressure drops below 2 psi. Sometimes it is below .5 psi. It does loose power and doesn’t want to accelerate with a load. I can clear it out revving without a load. I noticed this especially when the pressure was low. Today I noticed the same lack of power under load and accelerating. I was necessary to down shift. The pressure was about 1.8 psi. Again the pump is new, the carbs have been gone through 5 times with the most improvement the last time with float replacement. Cold pressure this morning was 2.4psi. A few minutes in the ride, it dropped below 2.0 psi. I have ordered an electric fuel pump rated 1-4 psi. I am not sure if this will work. I also noticed about the tube cross over for the accelerator pump. I remove this the first time I went through the carbs. Will this cause a loss of power during the heavy acceleration up hill? I have a semi permanent fuel pressure gauge installed in pressure side of pump so I can monitor fuel pressure when it acts up. I am scratching my brain here. I suspect either your new pump is defective (happens) or your gauge is very inaccurate. I would bet that the pump is bad. Any idea when the fuel straw will be available again. 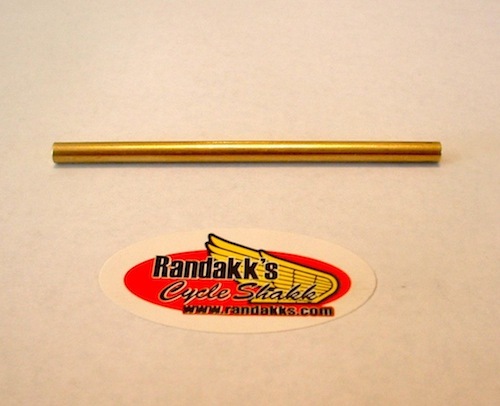 I seem to have misplaced mine and tracking down brass tubing is crazy hard. I can either find the right outside or inside diameter but not both. I have a tube cutter and know how to make these. Any help will be greatly appreciated. So Grateful for these Essential Pointers for Reassembly, especially where that “straw” goes. Nothing like the customer insisting, against my STRONG recommendation that your kit be the one we go with, on getting a cheepass kit from eBay that – no surprise – had components that did not fit. Of course in the Weeks that elapsed between taking the suckers apart and FINALLY getting your kit, I had forgotten where some of these things go. 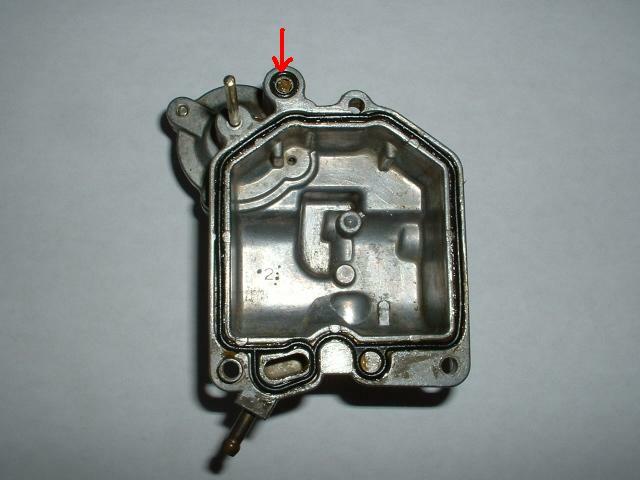 And then there’s the Proper location of the carb-to-plenum fuel circuit O rings. Boy, that would’ve sucked had I gotten that wrong. Thanks again! 1. Thanks for the grinding wheel tip on how to get a stubborn, broken idle mixture screw out. Worked great for me, and i have just reused that screw with the new slot cut in it. No problems at all with it. 2. Have replaced head gaskets every 6 or 9 months for years (with an expensive head rebuild each time) because the gaskets (OEM) have been chewed up on the engine side between the cylinder sleeves. The shop that rebuilds the heads (cyl. head rebuilding is their business) tells me this is due to early spark or air leak. Both heads and block are flat. Properly torqued. OEM head gasket. I’m a Christian. Have not been kicking the dog. Since spark is electronic (1981 GL1100), and the vac. hose to the “points” (not points, I know) maintains vac. (neither hose or diaphragm leaking), I’ve presumed air leak. With my synchronizer the vac drawn at idle is VERY low (5 or 6 or 7 psi, changes as it should with throttle). Found with brake cleaner there is a big air leak at the throttle shafts of both rear crabs. Rebuilt the carbs 5 or so years ago, but could not remember anything about seals. So, was about to see if there was some way to replace the seals in situ (since the carb assembly is such a PITA to remove), but then saw your post showing these carbs have a hole and intentional air “leak” at the shaft. So now I’m stumped. No other leaks seem important enough to change idle speed when sprayed. I’ve got a fix with the broken mixture tip problem. For my bike, I had a new mixture screw fabricated with modified dimensions so the end fits into a 1/16″ hole, with a tapered tip. It uses the same spring and washer arrangement as original. 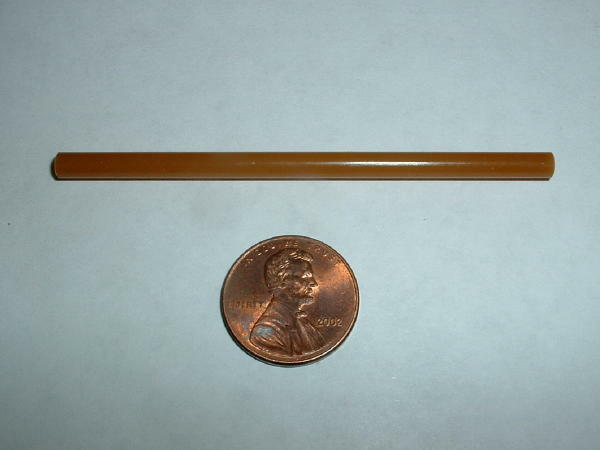 This allows you to drill out the broken tip using a 1/16″ drill bit. Then use the re-designed mixture screw (with the modified “fatter”/tapered end). It saved my carb. Nobody should have to get rid of an otherwise good carb body because of this problem. I can get the dimensions or mixture screws to you.